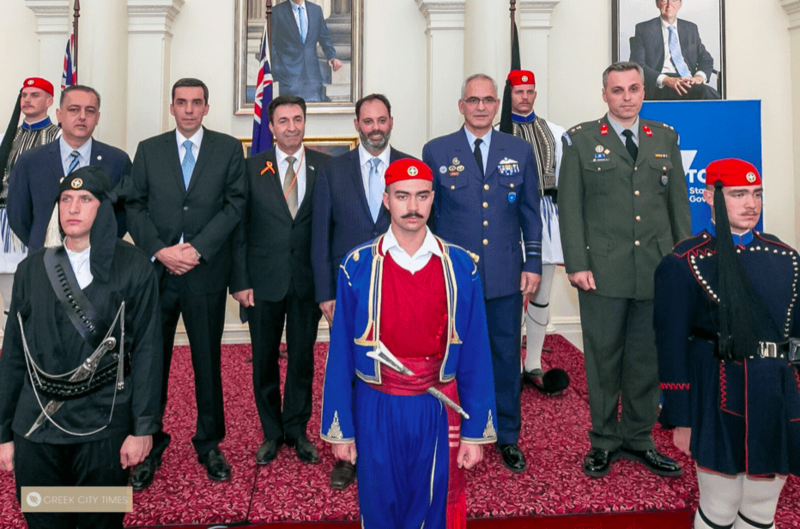 The Hellenic Presidential Guard “Evzones” have arrived in Melbourne to help celebrate Greek Independence Day on Sunday, and for their first public appearance stood proud guarding the Parliament House Victoria, on Thursday. 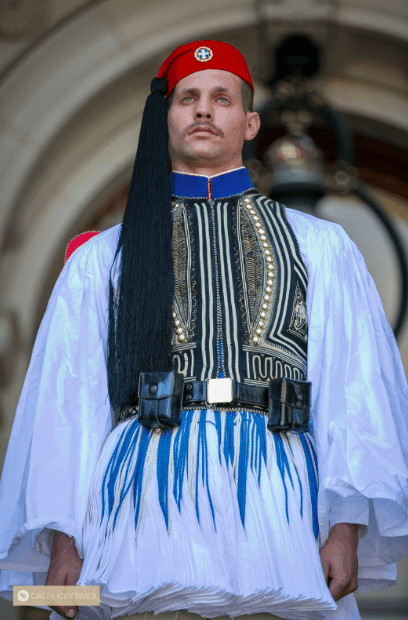 The Evzones in the eyes of Greek people resemble the strongest national symbol of Greece- synonym to Democracy, Freedom, Bravery and to “Levendia”. 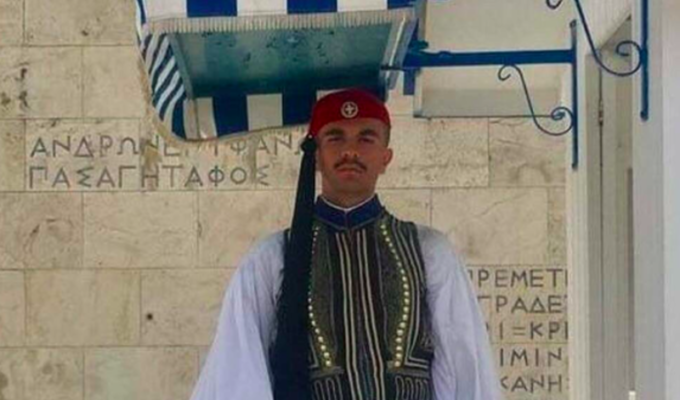 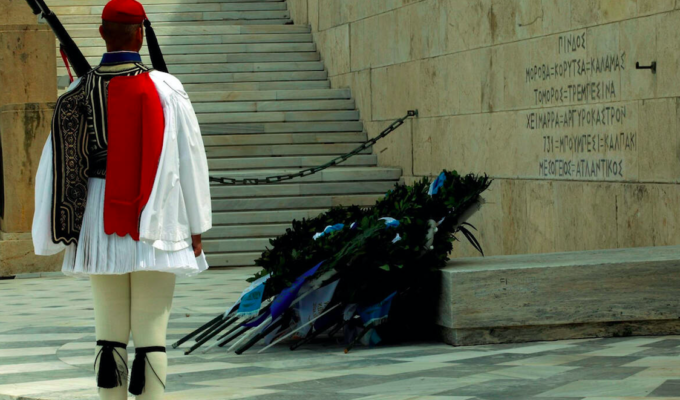 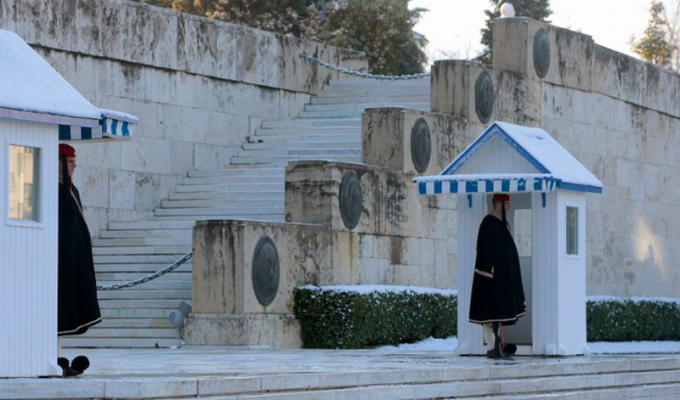 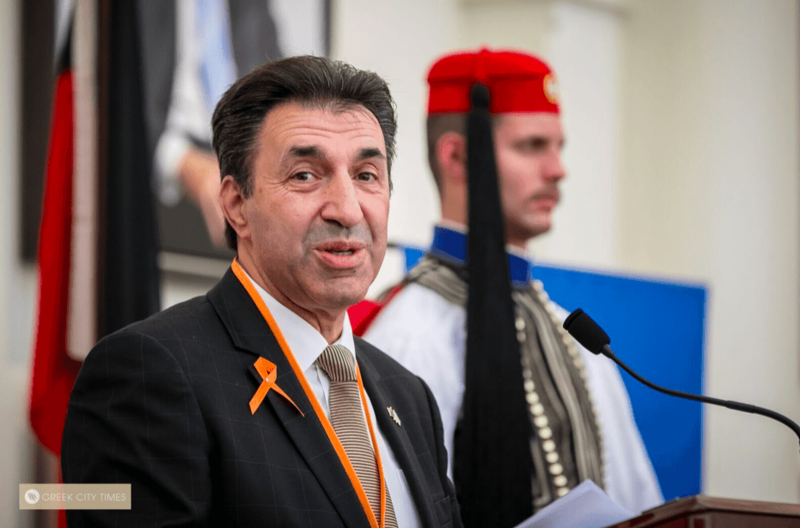 There are no words to describe the emotions and reactions of the large crowd listening to the nine commanding Evzones shoes hitting the stone ground, before appearing right in front of them, ready to guard the Parliament House. 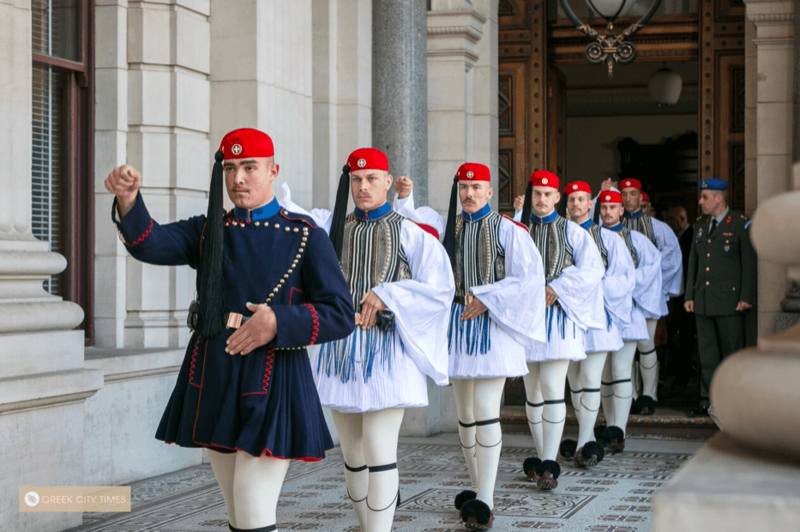 Admiration, respect and a connection to the ‘Patrida’ (homeland) for the Melbournians, was highlighted from people of all ages squashed on the stairs wanting to see the Evzones up close, which they have been longing for since 1992. 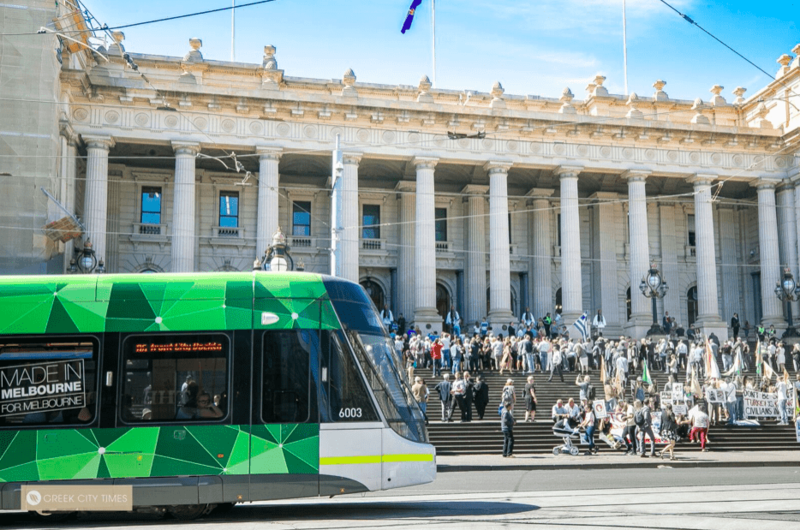 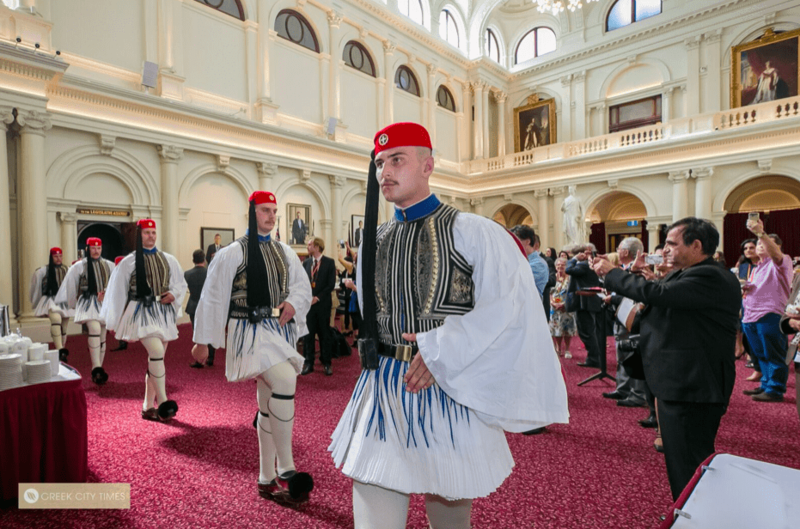 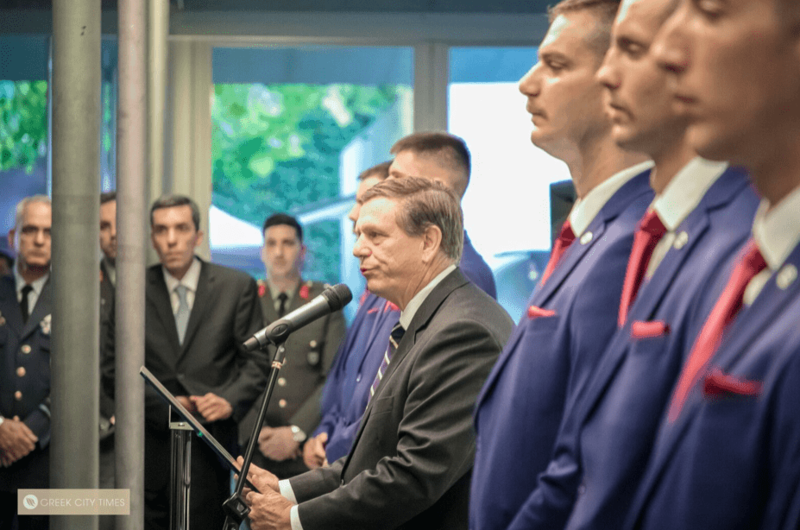 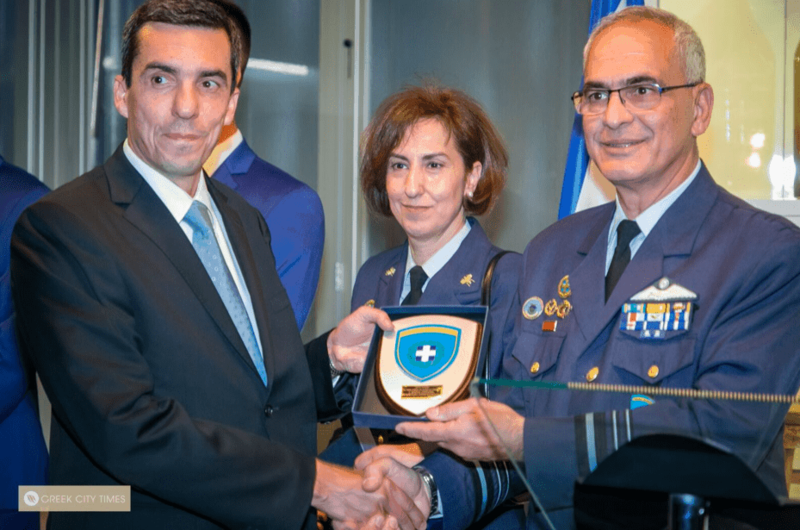 This special occasion has been made possible by the Organisational Committee for Greek National Day, and it’s the third time in history for the Hellenic Presidential Guards to visit Melbourne. 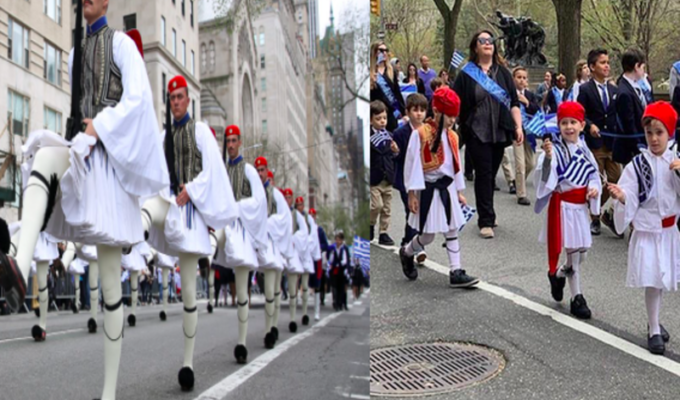 Smiles, proud singing of the Greek National Anthem, young children waving the Greek flag and taking photos with the Evzones, who stood tall and proud, is a moment they will cherish. 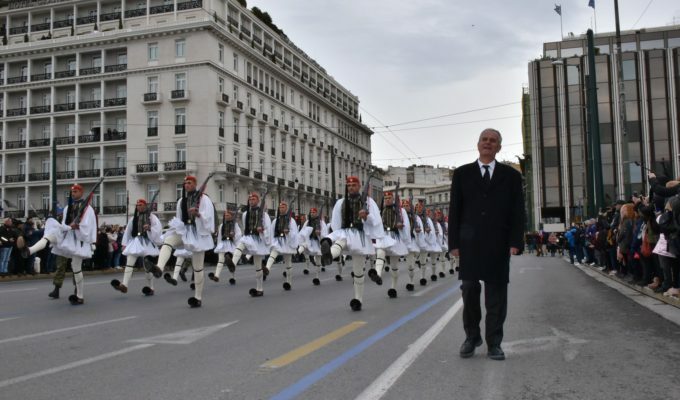 This holds true for the Diaspora, the Hellenic Presidential Guards and the wider Melbourne community, who are being given this great opportunity to see the Evzones outside of Athens. 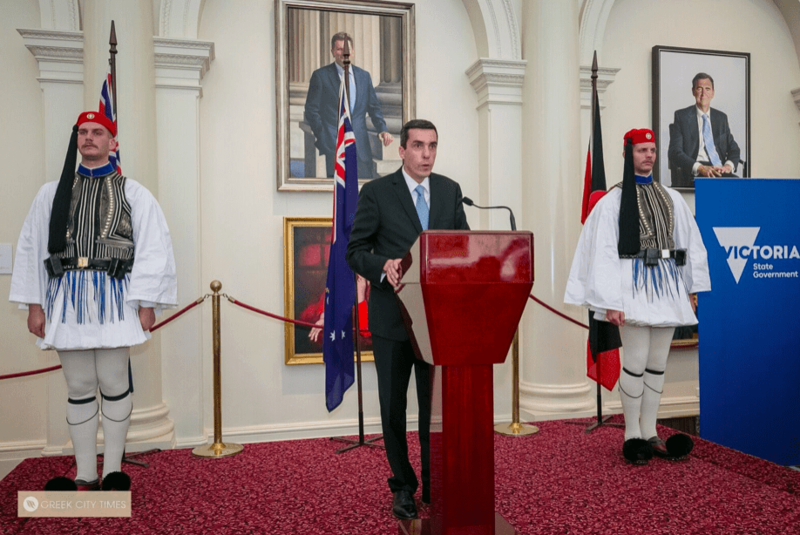 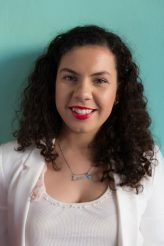 A private afternoon tea followed at the Parliament House, and was hosted by the Minister for Multicultural Affairs, the Right Honourable Robert Scott. 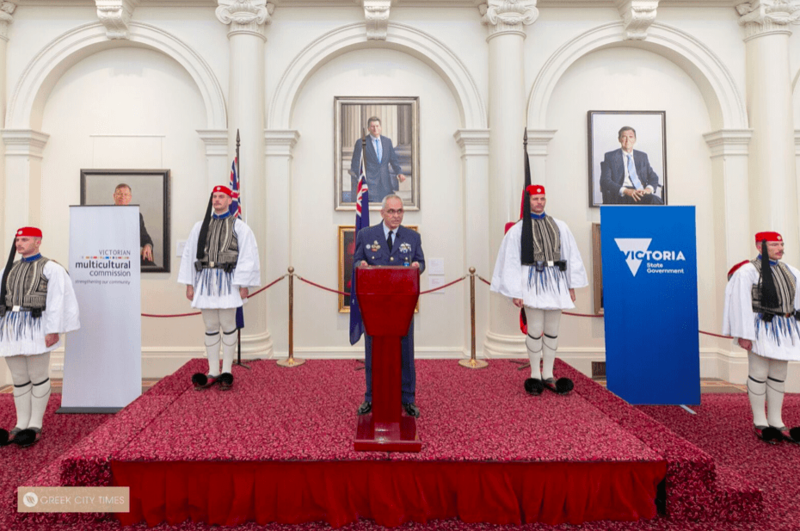 Speeches by Ross Alatzas; Victorian Multicultural Commission Vice-Chairperson, Philip Dalidakis; State Minister of Small Business, Dimitris Michalopoulos; General Consul of Greece and Air Marshall Panagiotis Roundos, head of the unit delegation, expressed their appreciation and gratification for the Hellenic Presidential Guards attendance in Melbourne. 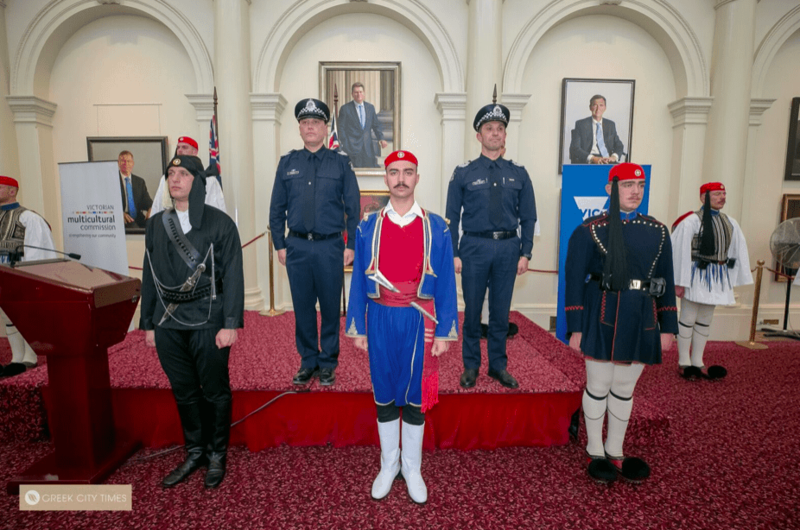 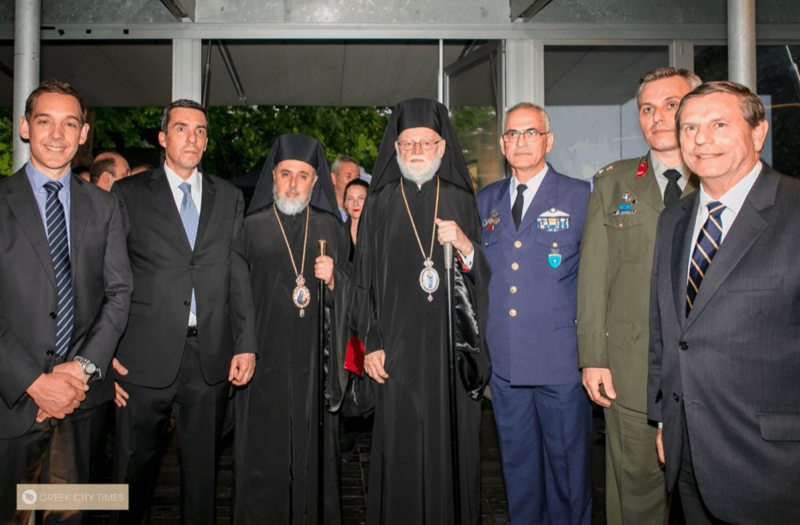 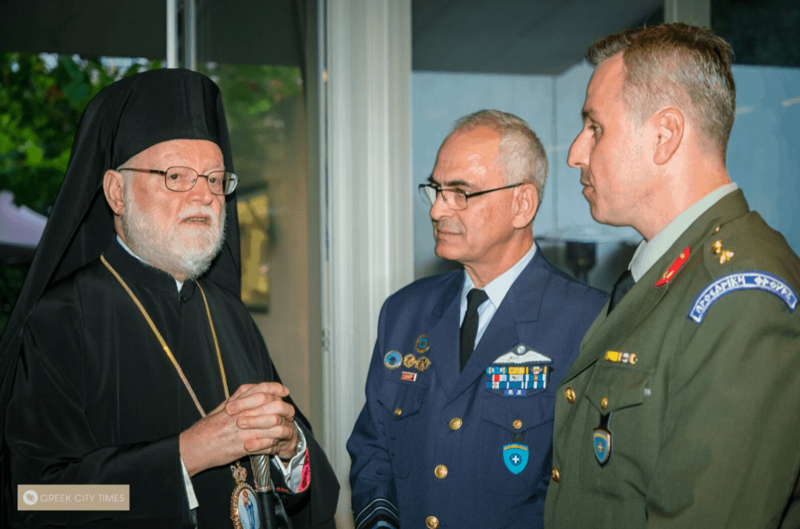 The official first day program for the Hellenic Presidential Guards visit to Melbourne didn’t end there, as a cocktail reception at the Hellenic Museum hosted by the Consul General of Greece in Melbourne, Dimitris Mihalopoulos, also took place last night. 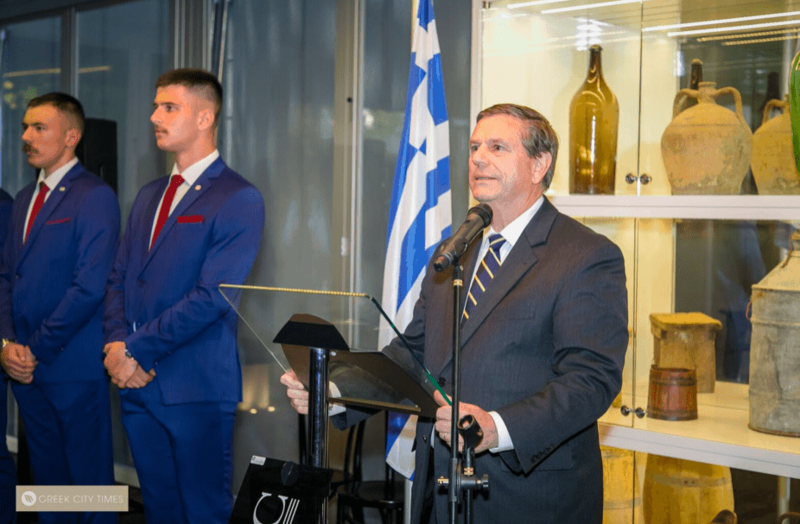 In attendance was Federal Member for Sandringham; Murray Thompson and MP for Oakleigh; Steve Dimopoulos as well as other dignitaries. 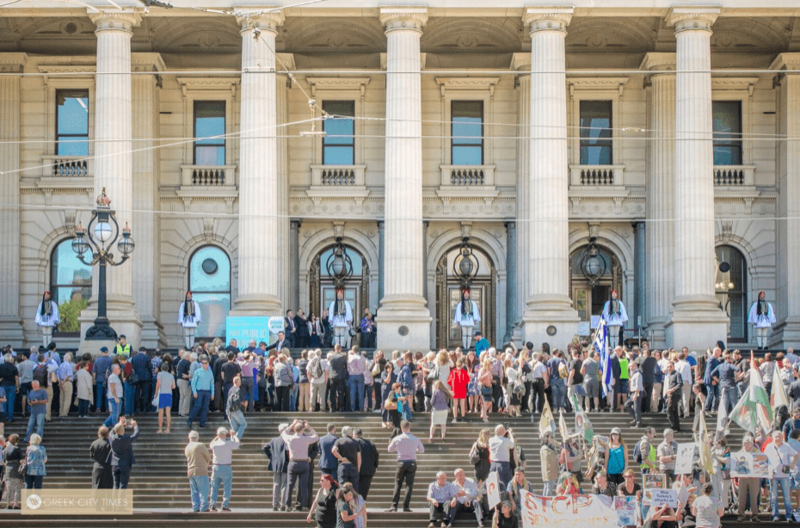 The next public event where Melbournians have the chance to catch the Evzones, is tomorrow, Saturday 24th of March, as they will participate in the Victorian Multicultural Commission Multicultural Festival at Federation Square between 2-3pm.